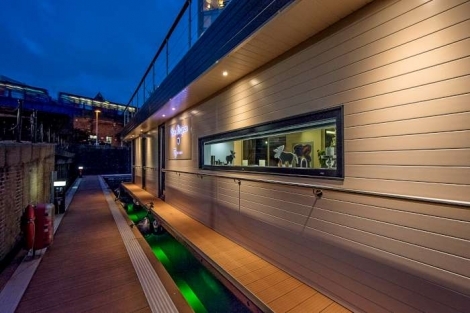 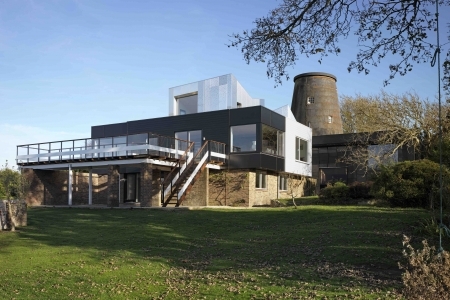 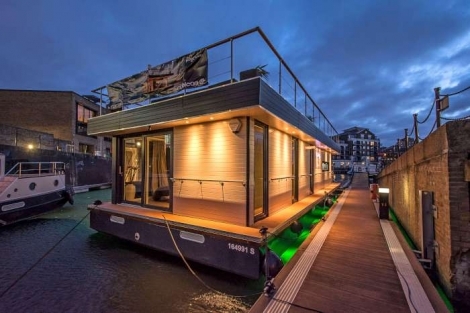 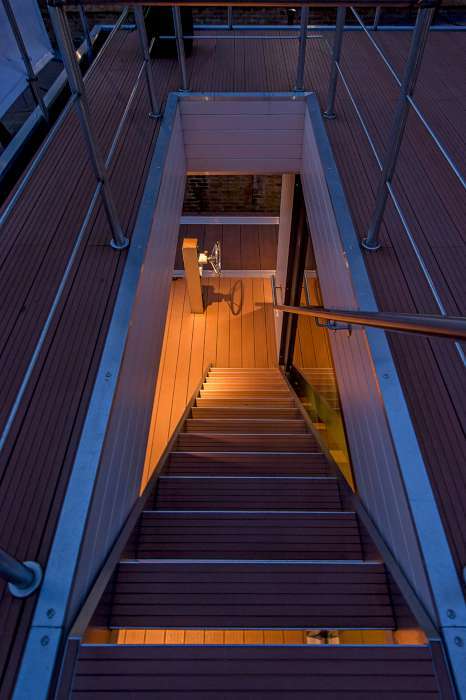 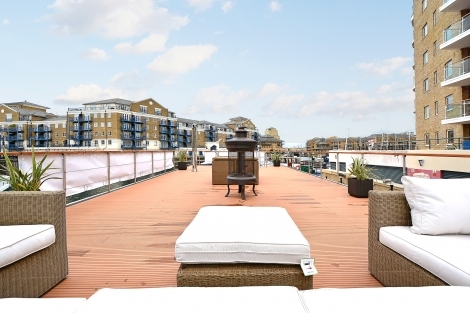 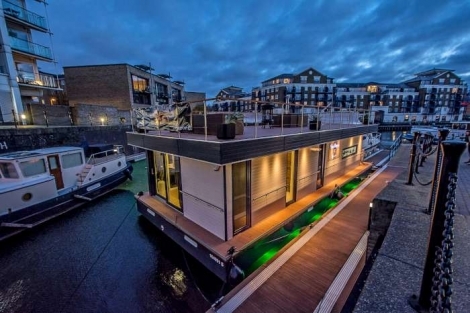 This is no ordinary houseboat ! 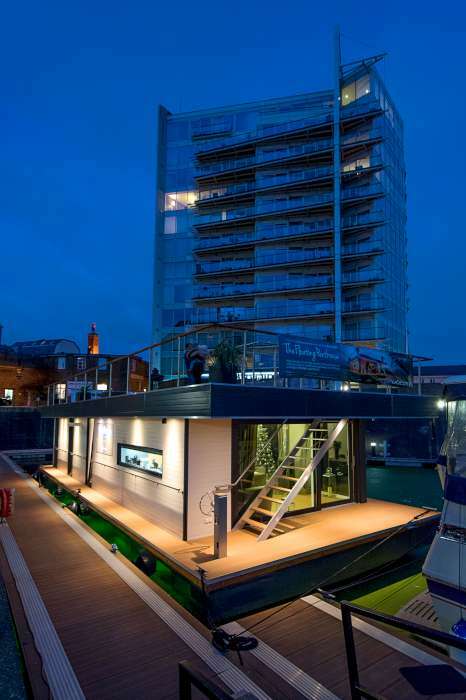 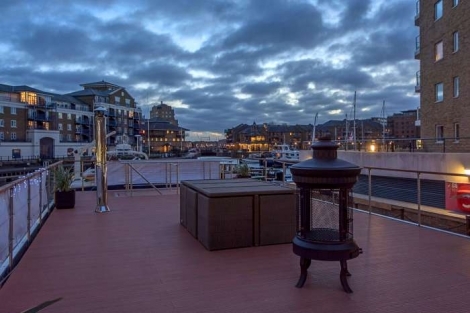 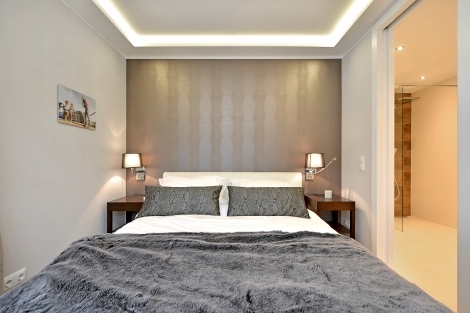 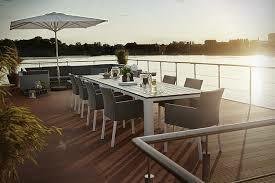 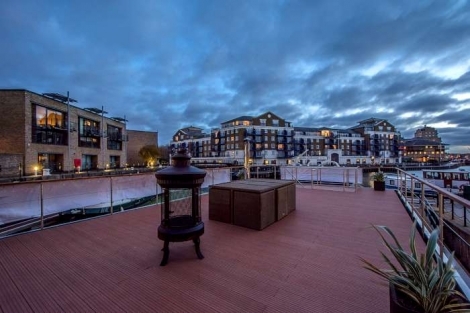 A high spec show home for a limited range of select, bespoke boats offering a penthouse lifestyle on the water. 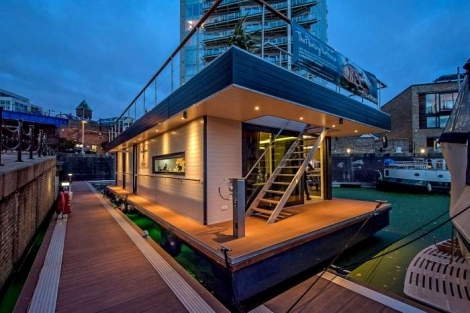 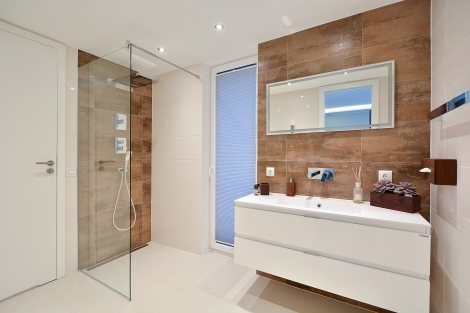 The lower deck has a bedroom and living room with floor to ceiling windows plus a bathroom and kitchen, while the upper deck has plenty of space for social gatherings or product display. 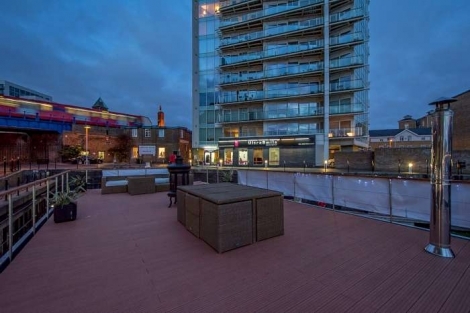 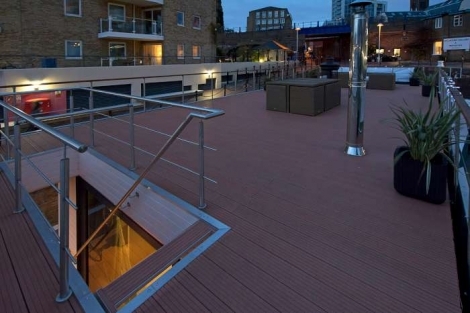 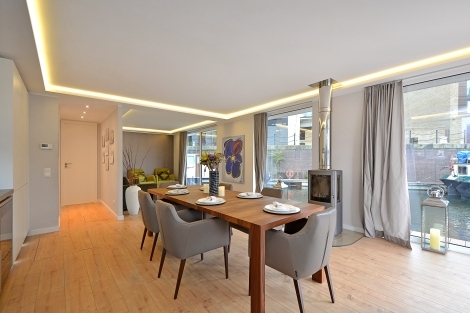 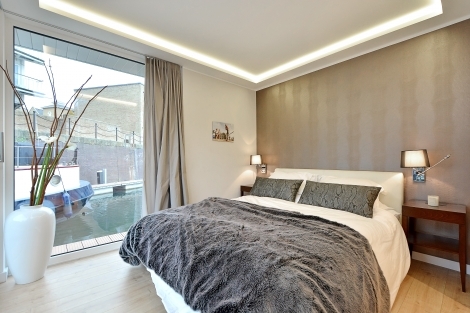 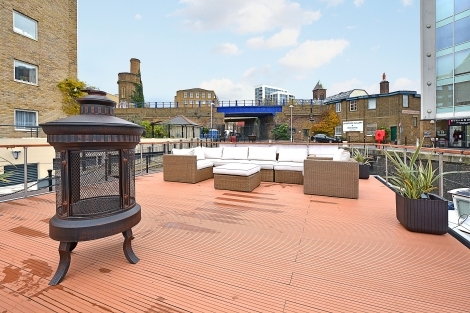 Underwater LED lights and the log burning stove add to the roof terrace's atmosphere. 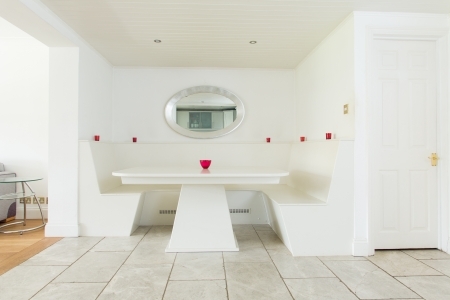 Perfect for an event or for shooting an aspirational lifestyle. 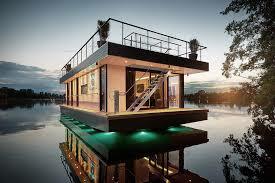 Capacity for around 50-70 people. 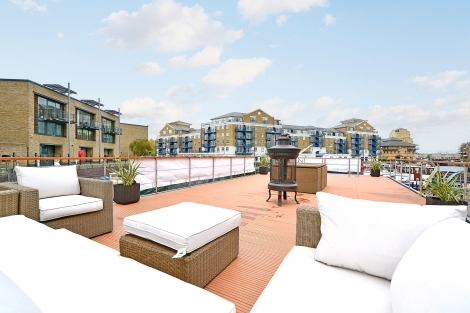 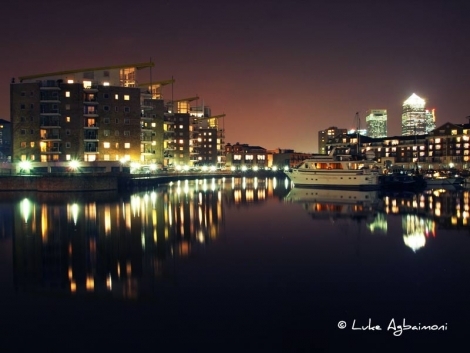 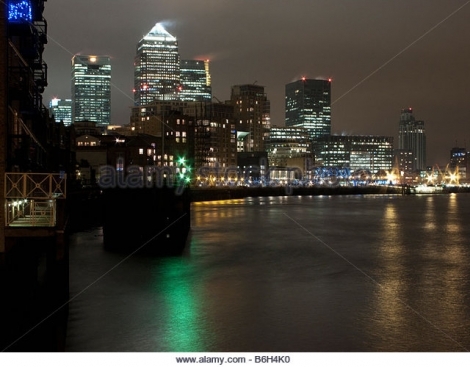 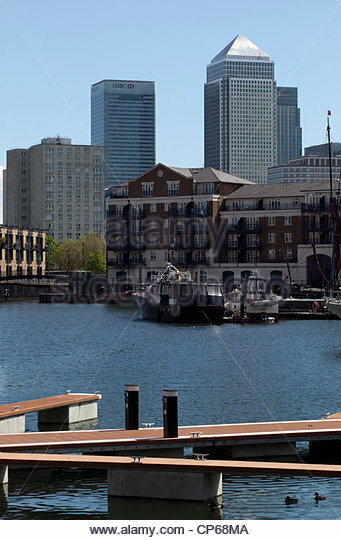 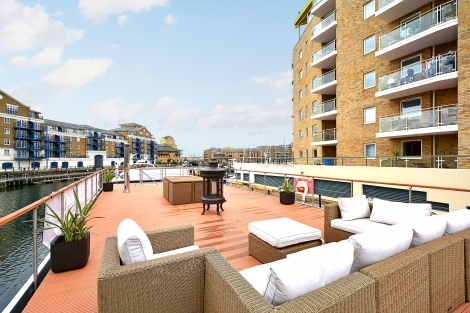 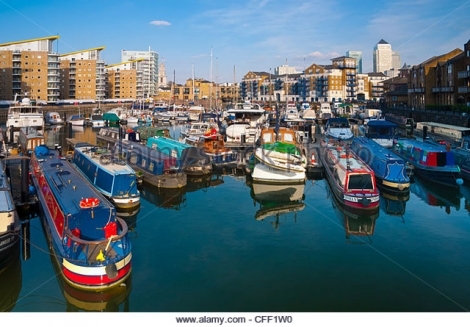 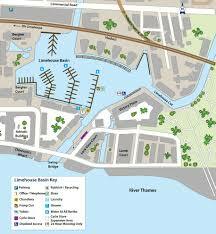 Moored in fashionable Limehouse Basin just off the Thames with spectacular views up-river to Canary Wharf and down-river to the Shard and London Eye. 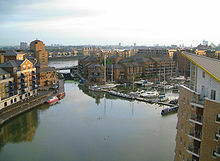 Photography may be permitted in the basin by prior arrangement.